A bizarre new dog grooming trend in Taiwan has dog owners giving their pet pooches square or round haircuts. Canine hairdressers all over Taipei are up to date on the special technique required for these eccentric makeovers. 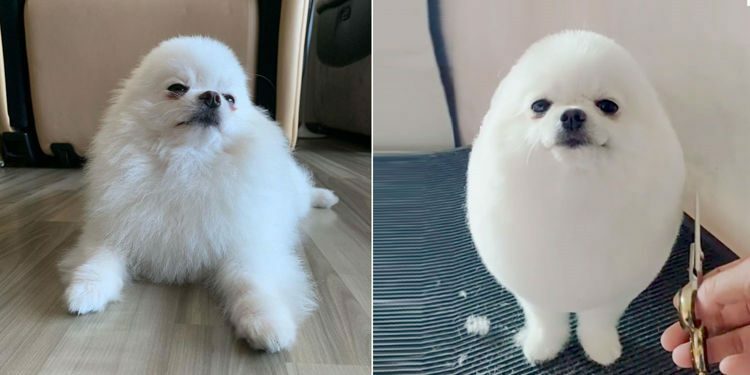 “It came about because people were always looking for more impressive haircuts, and somebody came up with the idea of shaping the dog like a hedge,” parlour owner Tain Yeh says. It started with a few people opting for these haircuts and sharing their pets’ photographs online, after which the trend caught on. Thousands of pet owners are now approaching salons, asking for their dogs’ hair to be cut in geometric patterns. Some are actually doing it simply to gain more likes and shares!